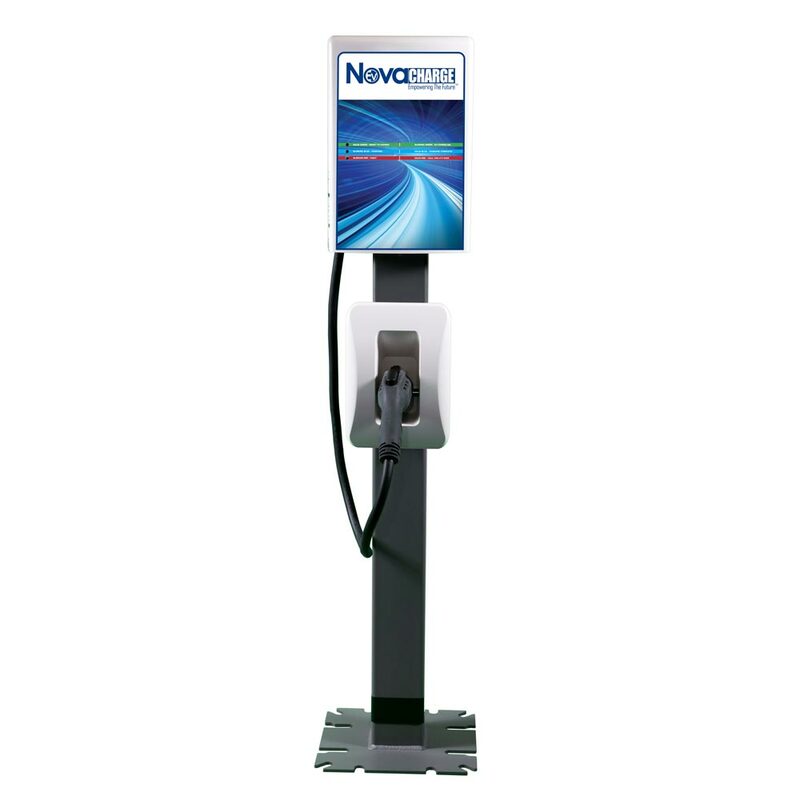 The NovaCharger NC-5000 family of commercial charging stations are built for heavy usage, and are extremely reliable, tamper-proof, and perfect for all weather environments. The NC-5000 series offers the option of an 18’ cord (NC-5018) or a 25’ cord (NC-5025). The series also features a customizable front panel, enabling businesses to showcase their brand to its customers and employees, while promoting their commitment to environmental sustainability.